This is a classic rangefinder from the early-mid 70's. I paid $13 for it recently on eBay. It features a 45mm f1.7 Yashinon Color manual focus lens. This camera is in great shape and takes wonderful photos! 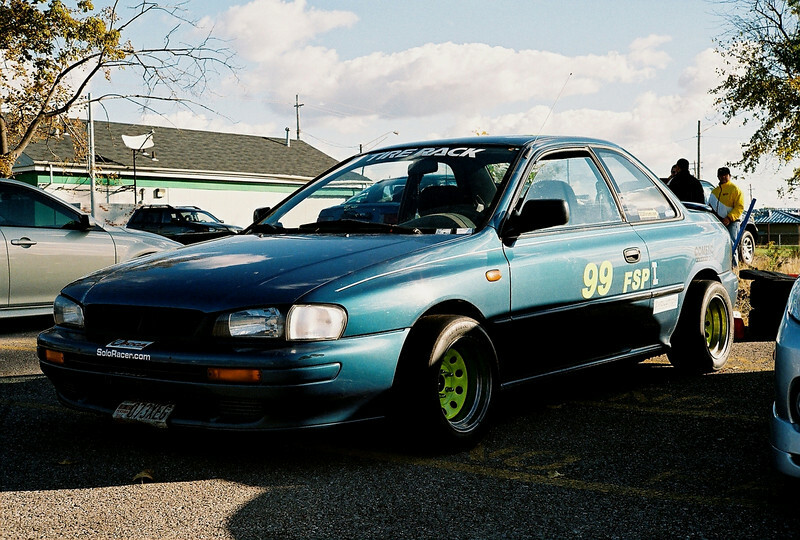 This test roll was shot at our most recent autocross event. Film: Fujicolor Superia 400.